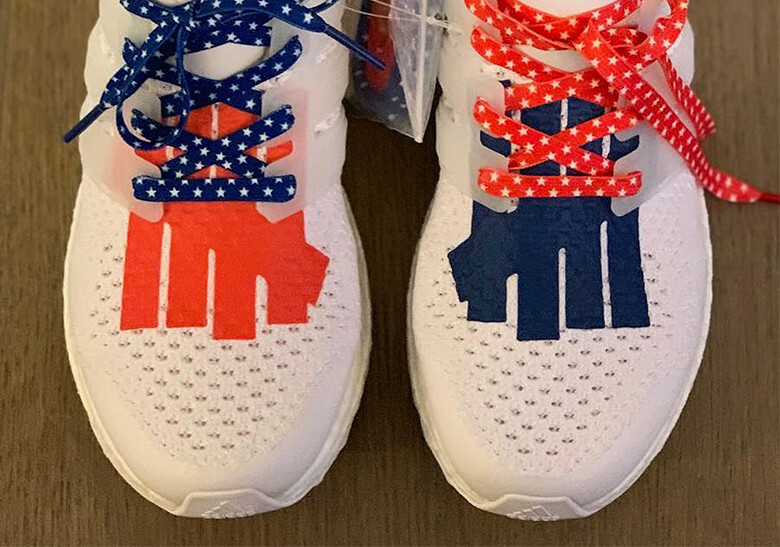 First look at the UNDFTD x Adidas UltraBoost collab. 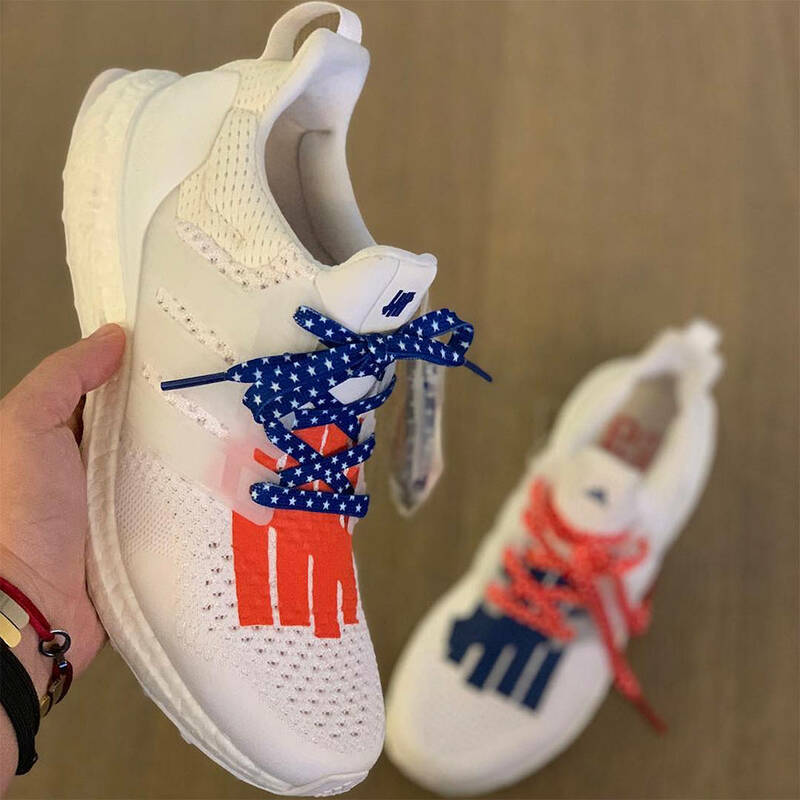 The beloved Adidas UltraBoost will be featured in a couple different Adidas collabs this year, including the upcoming Game Of Thrones collection, as well as this newly unveiled Undefeated creation. The mismatched Undefeated x Adidas UltraBoost sports a pristine, white primeknit upper accompanied by an enlarged Undefeated logo on the toe. 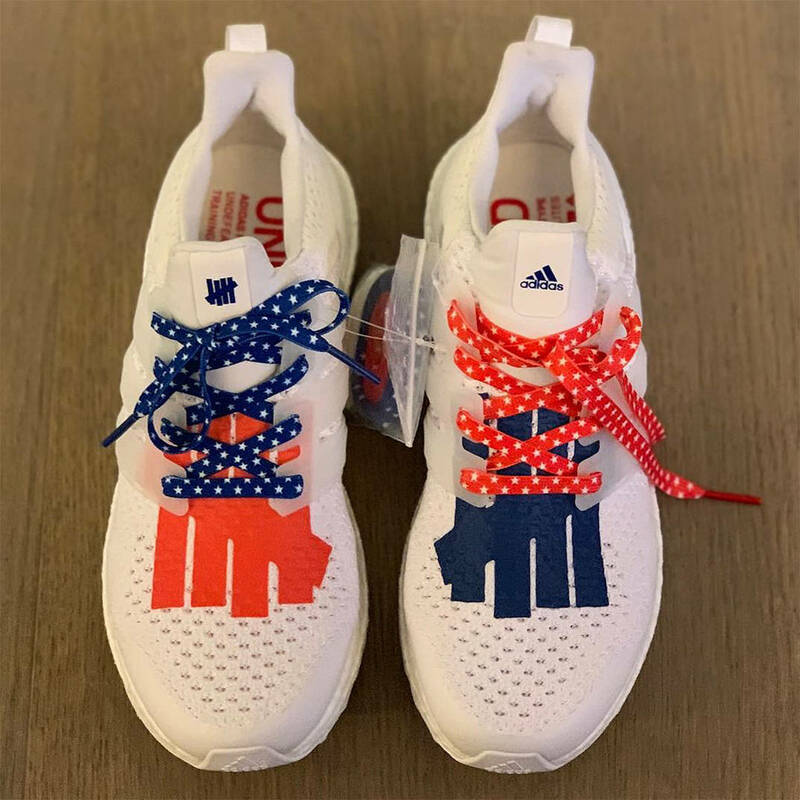 As seen in early images, the right shoe consists of an orange/red UNDFTD logo with starry, blue laces, while the left sneaker features a blue logo with the same laces in orange. 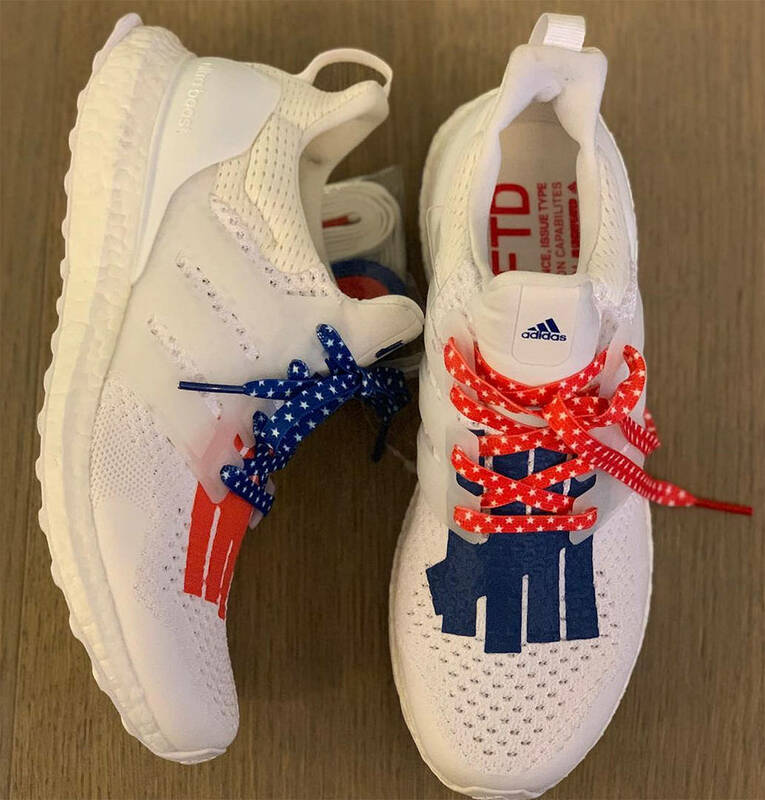 Release details for the Undefeated x Adidas UltraBoost collab have not yet been announced but rumors suggest the kicks will be arriving in the Spring/Summer. Take a closer look at the collab in the photos below and stay tuned for additional release information.